Recognize him? 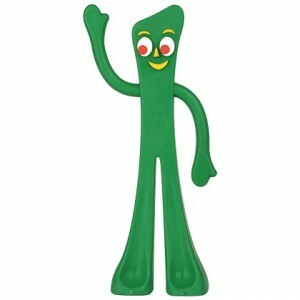 It’s good old Gumby our childhood friend. No matter how many times we stretched him and bent him into a zillion different positions, he did not break. Remember this: HE BENT BUT HE DID NOT BREAK. In 2001 when my son was a Plebe and I began working with Naval Academy parents, there were a lot of terms to learn. Acronyms like BUDS and CMOD were new to me. I was an Army Brat and could hold my own in Army speak. “Is your dad going TDY?” “No, we are going to PCS before he goes on his tour.” But this USNA speak was a different language. P-ways and racks (hallways and beds) and a myriad other terms made it somewhat challenging to adapt. But then I learned that even the parents had their own language. And one of the favorite mantras was Semper Gumby. “I am traveling to Annapolis to visit and now my son has duty, ” I would whine. And an experienced mom would reply, “Semper Gumby.” “My daughter’s leave has been cancelled and she will miss her class reunion” I would complain. I was beginning to predict the response….Semper Gumby. Semper for always (as in Semper Fidelis -always faithful). And Gumby-well you know what means -flexible, adaptable, bendable without BREAKING. In the beginning I broke more than once.When my sons could not attend my parents’ 50th Anniversary party I almost shattered. I tried every which way to get them there until I was stopped in my tracks. ” My Plebes need me there mom,” my oldest son told me. ” It’s not fair to the others who will have to cover for me, ” said my second son. They knew that would finally stop me and my manipulations. Taking care of their troops, integrity, others before self…how could I argue with that? So I painfully began to learn to flex and stretch. It was not easy. Disappointments with schedules only got worse as more of my children began to serve. As the gray hairs multiplied I realized that there was a better way to cope. I began relying on the philosophy of Semper Gumby . 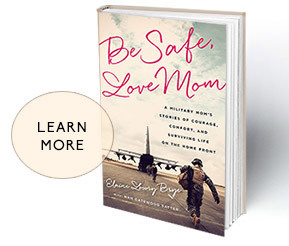 Now I embrace this mantra as I navigate my life as the mom of four service members. How about Christmas in July, Thanksgiving by Skype, and reunions few and far between? When we have one child with us it’s a party, two it’s a gala, three it’s a jubilee, and four-well it’s an all out national day of celebration worthy of fireworks. I have had to learn the art of living by Semper Gumby- make the most of the moment, adapt to the circumstances, and don’t waste energy complaining. Our military sons’ and daughters’ lives are not their own-they belong to a higher calling of duty and service. And sometimes it makes me uncomfortable. And yes, sometimes it makes me cry. BUT I WILL NOT BREAK. I will bend and stretch and flex. Because I need to support my military loved ones and help them serve without worrying about me. I need to be brave and stretch even when it hurts. Semper Gumby, Sisters! So true. I am a new military mom, fixing to be grandma. We are currently doing a baby shower by mail. Not the usual…but hey, Semper Gumby!